WHAT IS CHAOS ARRAY STUDIOS? 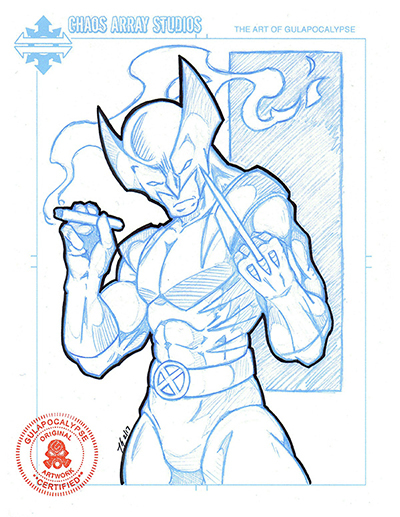 Commission sample full body pencil/sketch art of Marvel Comics’ Wolverine. March of Robots is here again and underway. Check in daily with @gulapocalypse to see the ACEO Postcards being made!